In American Dragon: Jake Long, Jake lives with his parents, Jonathan and Susan, and his younger sister, Haley Long in New York City. A descendant of a family of magical dragons, his two best friends are the feisty Trixie Carter and seemingly dim-witted Arthur “Spud” Spudinski. Before his thirteenth birthday, Jake started getting glimpses of his dragon heritage. For example; while younger, during a race with Brad Morton at Camp Mugwomp for the Mugwomp Cup, he unintentionally breathed fire, startling himself into tripping over a log to fall face-first into mud, losing the race. 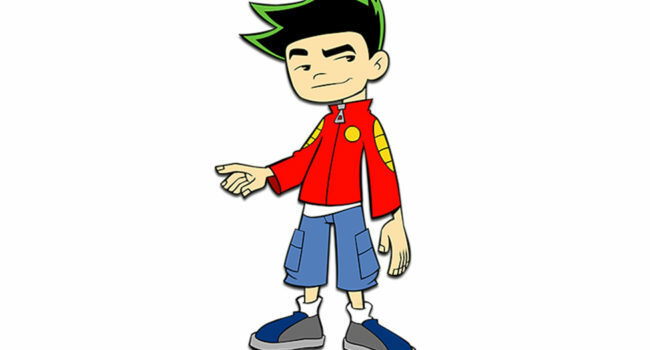 In human form, Jake is an average-looking but short for his age teenager with black, spiky hair with green highlights, red jacket, blue cargo shorts, and gray shoes.